ስለ ነገዋ ቤተ ክርስቲያን ስንል ዕድሉ ዛሬ ባያመልጠንስ? thank you dr.merawi you did you part and i agree on your idea. Most of us we agree what u wrote , it very important message. Excellent job. 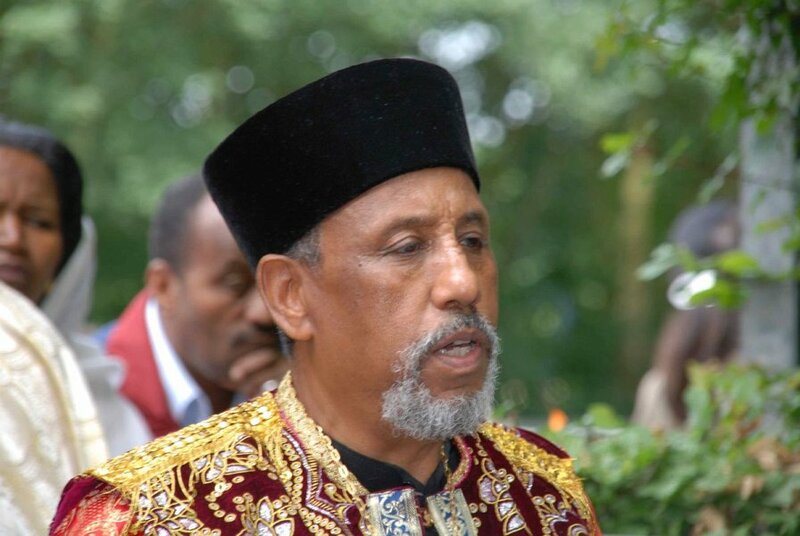 I agree with u, Yes you are write Abune Melkesadik Yehaymanot Eses alebachew, The holy synod told him to come and explain about it,but he left to the USA, now he is the one make all this mess because he is the secretary of the exile fathers. Few people knows about this reality including ESAT no idea how he left the country, they use it for the sake of their own personal benefit not for the church. 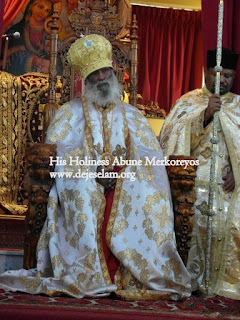 it is very clear message to all Ethiopian Orthodox Tewahido lijoch. also thanks to Daniel for your resilient effort. I pray that God give us fathers like Like Kahnat Merawi. May God give the wisdom for the fathers in Addis to put the Church's unity beyond anything else. Now a days it is sounding to me a folk tale when I read about the sacrifice our forefathers paid to keep our faith and our country united. This is especially so when I realize the cowardice and earthly priorities that the current so called fathers have at the expense of our beloved Orthodox Tewahido Church. What would they profit if they succeed to count "6th Patriarch" and yet leave our church divided and weakened? Tell me so called fathers, what will you benefit? Let’s forget the bogus concern about counting numbers. Let’s go back to the righteous 4th and unite our Orthodox Tewahido at last! "የቁጥር ዶግማ “እንዘ አሐዱ ሠለስቱ ወእንዘ ሠለስቱ አሐዱ” አንድ ሲሆን ሦስት፣ ሦስት ሲሆን አንድ ነው ከሚለው ከምሥጢረ ሥላሴ ውጭ ሌላ የቁጥር ዶግማ ያለ ይመስል፤ ነገሩ ስለ አራተኛውና ስለአምስተኛው ፓትርያርኮች ቅደም ተከተል ለመግለጽ ተፈልጎ ነው፤ “አራት ተብሎ አምስት እንጂ እንደገና አራት ስለማይባል ስድስተኛውን ፓትርያርክ እንመርጣለን” በሚል በቁጥር ስድስት ምክንያት የተጣሰውን ቀኖና ላለመቀበል የአዲስ አበባው ቃል አቀባይ የማይሆን ምክንያት እየደረደሩልን ነው። የቅዱስ ሶኖዶስ ዋና ጸሐፊ ብፁዕ አቡነ ሕዝቅኤልና ብፁዓን ሊቃነ ጳጳሳት “ይህች ሹመት (ፓትርያርክነት) በአንድ ዘመን በአንድ ሀገር ለሁለት ሰዎች ልትሆን አይገባም። ይህ በአንድ ሀገር ከተደረገ ግን አስቀድሞ ለተሾመው ትጽና።” የሚለውን በማናበብ እንዴት ከግንዛቤ ውስጥ እንዳላስገቡት የሚያስተዛዝብ ነው። "
ከዚህ በፊት ምንም እንኴን ያስተላለፋችሁት ውሳኔው ተፈጻሚነት ባያገኝም ትናንት ስለ ሀውልቱ የወሰናችሁት ስርአተ ቤተክርስቲያንን የወገነ አቌም ሀውልቱ ባይፈርስም ውሳኔው ግን እንደተከበረ ይኖራል:: በመሆኑ አባቶች አንዲት ቅድስት ቤተክርስቲያንን እና ምእመናኖችዋን እያሰባችሁ ስለ አንድነት ቁሙ ካልቻላችሁ በገዳም ተወስናችሁ በጸሎት ቀሪ ህይወታችሁን ከአምላካችሁ ጋር ብትኖሩ ይሻላችኋል:: ጥለናት ለምንሄደው ለዝች አላፊ አላም አንወግን!!! የዶክተር መረዓዊ ብሎግ ነው እንዴ?የሚያወያይ ሀሳብ በብሎጉ እስተዳደር ይሰረዛል ደጀ ሰላም ምነው? what do you know,that what was written needs to be erased.